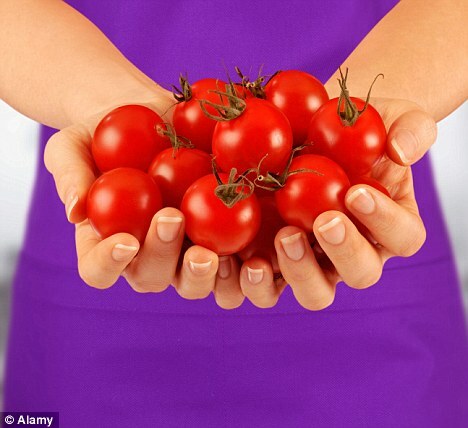 DREAMY HEALTH: Could tomato pips protect you from a heart attack? As well as cutting the risk of heart attacks and stroke, the food supplement may have advantages over a standard drug treatment, low-dose aspirin. Aspirin is taken by millions of otherwise healthy people to thin their blood and lower the risk of dangerous clots. However, last week a major analysis found that unless you have a history of heart trouble, the benefits of taking it are outweighed by the raised risk of internal bleeding. Basically, healthy people should not be taking aspirin as a preventative. Unlike aspirin, the new tomato treatment, Fruitflow, doesn't cause bleeding. Its effects also last just 18 hours - compared with ten days for aspirin. This is important because it makes the effects more easily reversible: if you suffer an injury or need surgery, doctors have to quickly restore normal clotting to prevent excessive blood loss. Both Fruitflow and aspirin work by tackling platelets, tiny cells in the blood. They then clump together, forming clots (a process known as platelet aggregation). Aspirin strongly blocks one set of signals that causes this to happen. Fruitflow more gently damps down three others - this is enough to reduce the risk of clotting. The treatment itself is extracted from the jelly surrounding tomato seeds. It was discovered by Professor Asim Duttaroy ten years ago when he was working as a research scientist at the Rowett Institute of Nutrition and Health in Aberdeen. He was searching for an effective anti-clotting chemical in plants, so he 'bought every type of fruit and vegetable in Aberdeen and tested them'. He discovered a chemical in tomatoes that has a milder but broader effect than aspirin. Unfortunately eating lots of tomatoes doesn't have the same benefit. 'We've tested that and it doesn't work - you can't absorb enough fast enough for it to have an effect,' says Professor Duttaroy. 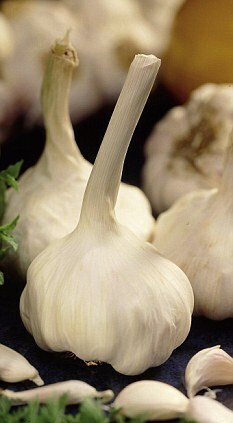 There are a number of other natural products, such as garlic and hemp seeds, that are said to have a blood-thinning effect. But Fruitflow is the first to have been approved by the European Food Safety Agency (EFSA), which means its developers can make EU-authorised health claims, such as that it improves blood flow and circulation. Fruitflow is not suitable for people who already have heart disease because they need their blood clotting ability to be more strongly controlled. The product, which was developed by Provexis, is designed to be used by manufacturers as an additive in foods, such as juices, margarines and yoghurts, without affecting their taste. Currently, it is used in Sirco fruit juice available in some supermarkets (costing between £1 and £2). Ursula Arens of the British Dietetic Association.